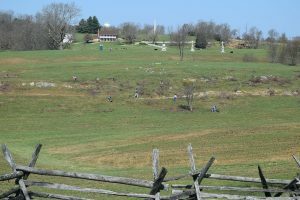 The Civil War, and the Battle of Antietam in particular, took place on private rural land, and in this case rolling hills and corn fields. 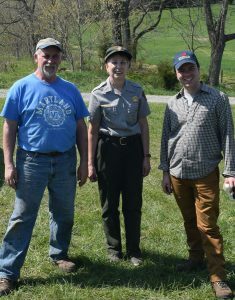 Keep these landscapes clear of invasive species for understand the battle is a on-going challenge for the National Park Service. 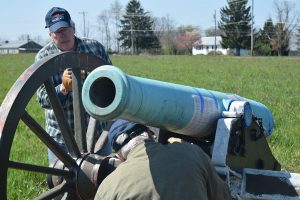 And the site lacks in-depth informational signage to help the 1 million annual visitors visualize this conclusive phase of the Battle. 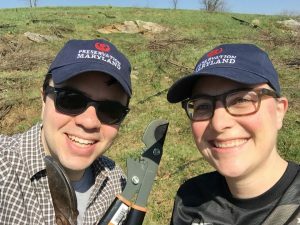 Preservation Maryland and its partners undertook a large-scale volunteer clean-up day to clear out invasive plants and remove extraneous fence rail. 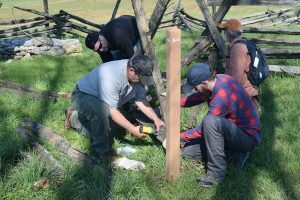 To address the interpretive needs of the site, we worked with the National Park Service to create and install new information panels. 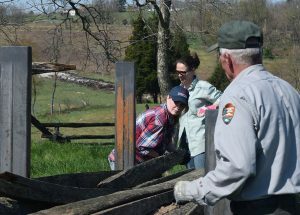 The next generation of preservation at Antietam Battlefield, 2016. 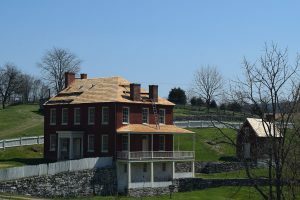 Nicholas and Meagan in Antietam. 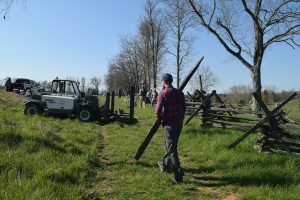 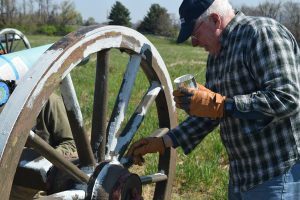 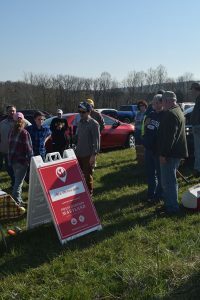 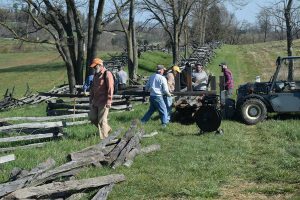 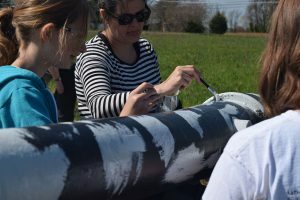 Kicking off National Park Week on April 16, 2016, and being one of the first public Six-to-Fix volunteer event, Preservation Maryland with Save Historic Antietam Foundation brought over 50+ volunteers to Antietam National Battlefield to clear invasive species, remove a fence, and painting cannon – work that would have taken the National Park Service three weeks.